Parents go crazy trying to instill the love of reading in all kids. They want their children to read each night, every night. Teachers, too! Kids, on the other hand, see their nightly reading requirement as just another classroom lesson. And parents—exhausted by the time the bedtime reading comes around—just want their kids to sit down (willingly!) and read happily. Love of books comes from having an emotional impact from a story. When a book is treated as yet another lesson or chore, the feeling of ‘have to’ immediately gets kids to put up a defense mechanism. Parents, your kids can love books. They can love to read. However, the treatment of reading, of the book and of the entire literary experience has to be positive. Most kids dislike reading, because it feels like another assignment: read for 15 minutes, and then check it off on the binder. Nightly reading minutes are good in theory, but not so great for motivation. Instead, encourage kids to read a chapter a night. That way, they are becoming engrossed in moments of the book…full moments. Not 15-minute increments of moments. If your child has trouble reading alone, then read to them. And read with feeling…have fun with being a storyteller as you read. Don’t be afraid of sounding or acting silly; voices and silly sounds make the story come alive, so go with it. Make your child the star. You can buy books that feature kids at the center of the story with their favorite characters. Personalization services, like KDNovelties.com, your child and their friends become part of the journey. There’s no better way to immerse your child into a thrilling reading experience! Read the book, and then watch the movie. Choose a book in your child’s grade-level that also has been made into a movie or includes their favorite movie characters. Read the book together and talk about the characters and adventures after each chapter. Then, watch the movie version of the book. Discuss the plot differences between the movie and the book. Kids can see that, oftentimes, movies cut out many adventures within the book when a story is adapted for film. 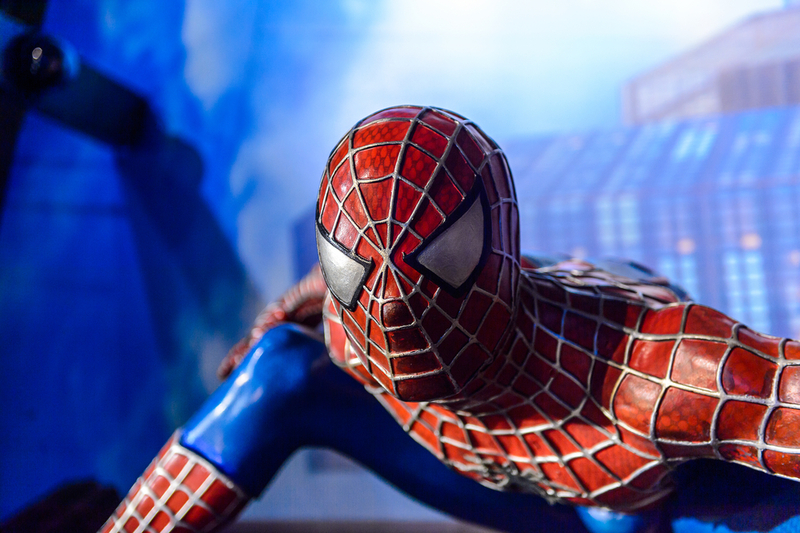 Spiderman comes to life in so many different kinds of books! Sometimes a child will find a book that seems beyond their level or even below their level. While it’s easy to hand them another story, sometimes it’s also good to just let them read their choice. Reading is reading! Books above grade-level also allows you to read with your child and to enter into discussions about the book. However, if a book contains themes that are too mature for your child, don’t hesitate to urge them to more suitable choices. 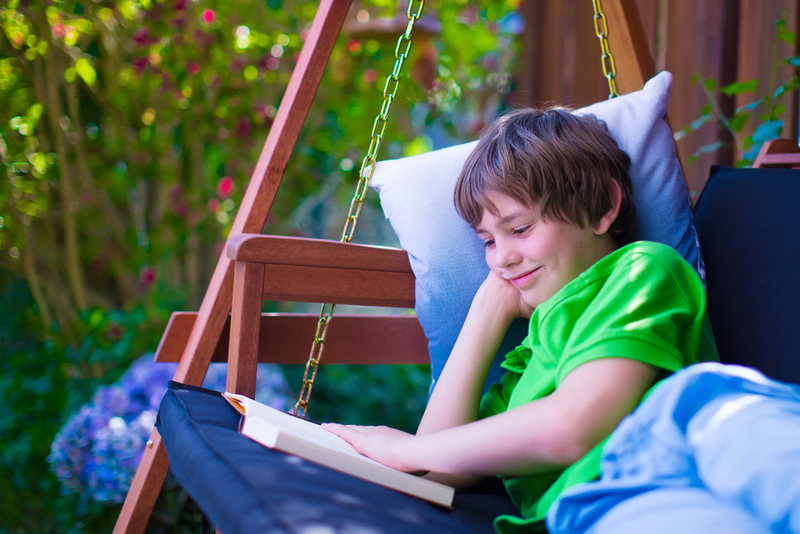 To further foster positivity around reading, create a reward system for your child. For every five books that your child reads, allow them to have a privilege or a special treat. Discuss as a family what the book goals should be and what the rewards system will entail. Have kids create reading sticker charts so they can track their progress. Reading is a joy when kids begin to grow a love for stories and books. With the right encouragement, kids will become so engrossed in the adventures that they won’t want to put the book away. And that literary love is the magic ingredient of education that all parents and teachers hope that every child discovers. Because reading is knowledge and knowledge is powerful. Let's celebrate Earth Day by teaching our children how to be responsible with it. Reuse, recycle and renew!